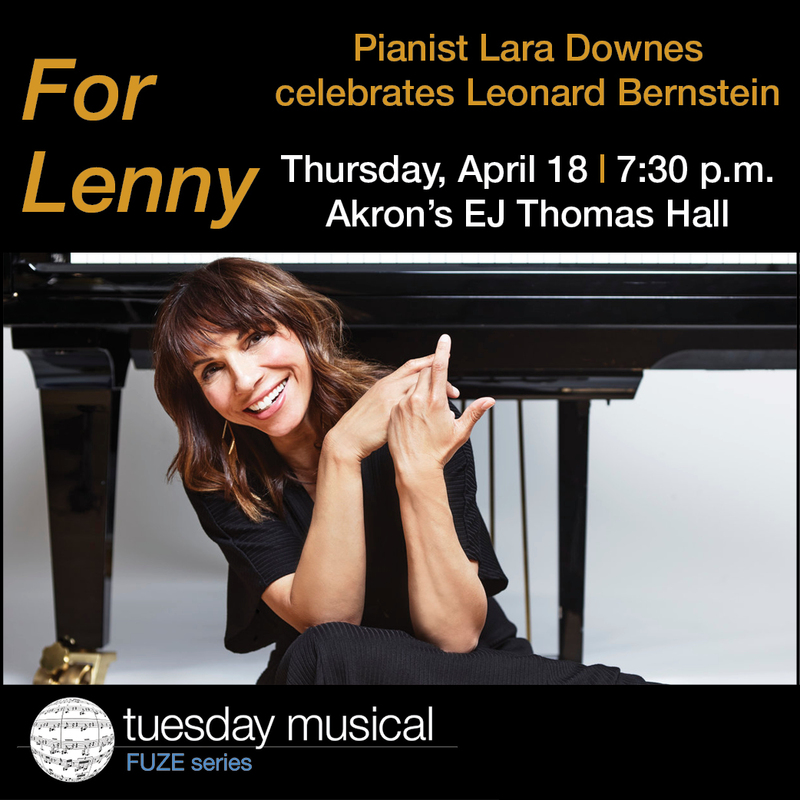 Pathways is the first fruit of the Cleveland Museum of Art and The Cleveland Foundation’s Creative Fusion commissions for new music. In inviting Threadgill to contribute a piece mere months after the end of the inaugural FRONT International Cleveland Triennial, An American City, CMA Director of Performing Arts Thomas M. Welsh made a canny choice. 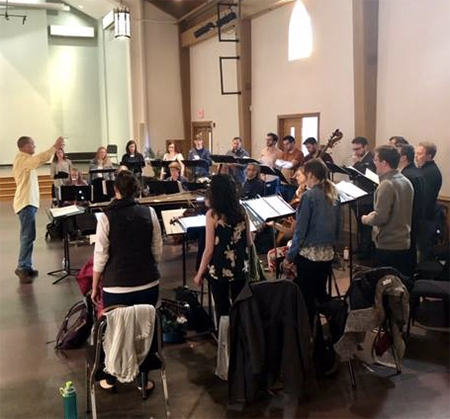 As Cleveland’s already outsize role in national and global music and art worlds expands, why not aim high by commissioning one of the most acclaimed composers alive — an artist, Midwesterner, and Vietnam War veteran for whom the question of genre seems a silly one? 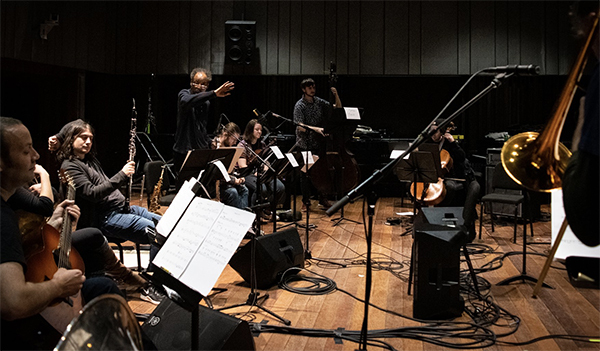 In a sold-out Gartner Auditorium, Threadgill’s ensemble Zooid and members of the Oberlin Contemporary Music Ensemble appeared onstage together, combined into a chamber orchestra. Pathways opens with several minutes’ worth of chilly yet intoxicating sounds from the strings and English horn. Though Threadgill’s music can defy precise description, some basic principles hold: textures float organically from one to the next, a subtle counterpoint here growing to a roaring solo later. Grooves can dissolve as quickly as they come about. Each player had time in the spotlight. Double bassist Matthew Frerck played with utter commitment and intensity. The amplification on his instrument was noticeably higher than on the other strings, which put cellist Christopher Hoffman at a disadvantage later on, despite his typically arresting and virtuosic solo playing. Lauren Anker was able to hold onto her pristine horn tone even as the music demanded flexibility. 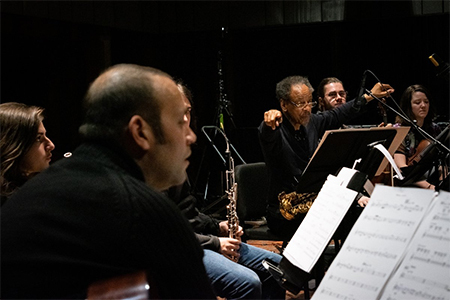 As the volume and rhythmic intensity of the music grew, the most urgent musical voice in the group — that of the composer, playing alto saxophone — cut through the auditorium air like a hot blade, subtle sizzle glowing at the edges of an otherwise pure tone. Some moments evoked big-band grandeur, others the sparse modernist soundscapes of Anton Webern. All sounded like Threadgill’s work. An exploratory drum kit solo from Elliot Kavee led to a sinuous English horn solo from Remy Libbrecht, accompanied by Threadgill’s bass flute. Tyler Smith’s assured marimba work helped create a momentary oasis of calm. In addition to making a great team, violinist Camille Vogley-Howes and violist Devin Cowan made assertive moves as soloists. At once dreamy and skittish, Liberty Ellman’s guitar playing approached an electric instrument’s clarity through acoustic means. Near the end, CME director Timothy Weiss, whose role and activity level varied widely throughout, calmly walked away from his post, leaving an ever-diminishing number of musicians to wrap up their parts. The piece concluded with tubist and trombonist Jose Davila spinning out his own final line. A commanding presence here as ever — an earlier solo had left him visibly but triumphantly exhausted — Davila exemplified the Zooid aesthetic of complete confidence. He was in tight control of his sound even as an abrupt gesture brought the piece to its end and the crowd to its feet.